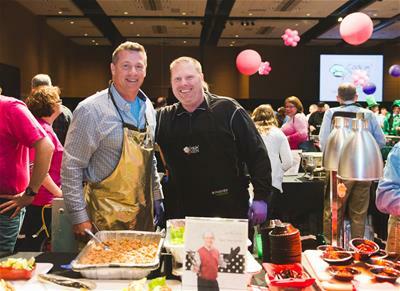 Francine's Friends: Meet This Year’s Cookin’ Men! Cookin’ Men 2019 will feature more than 105 local chefs from throughout the community serving up their specialties to benefit Francine’s Friends Mobile Mammography program and their committed fight against breast cancer. Your generosity through attending this event will ensure area women receive the mammograms and proper follow-up services they deserve and need. General admission tickets are $65 in advance and VIP tickets are $150. Find out more at Parkview.com/CookinMen or click here to register or purchase tickets today!